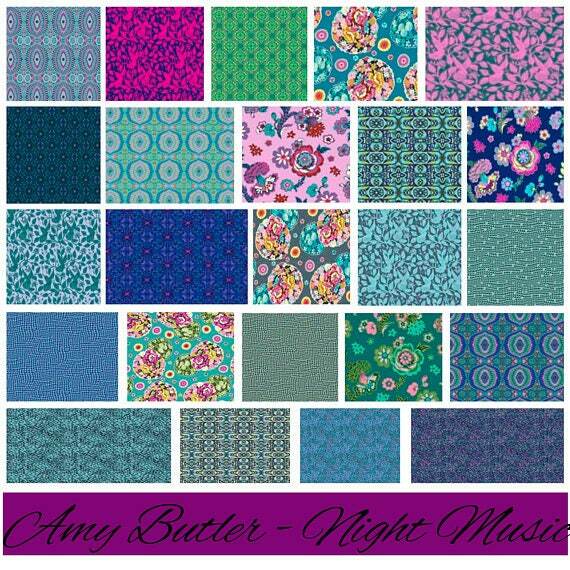 Brand New Amy Butler Night Music Fat Quarter bundle. 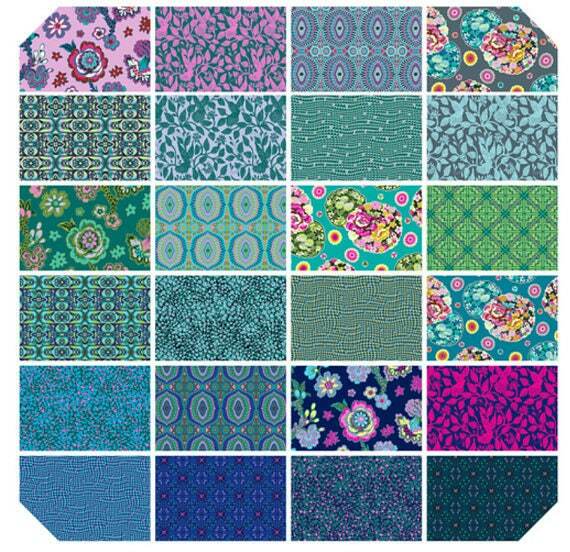 Features 24 Fat Quarters in Night Music which features lovely new prints of turquoise and blues and pink florals! This is perfect for your next project! 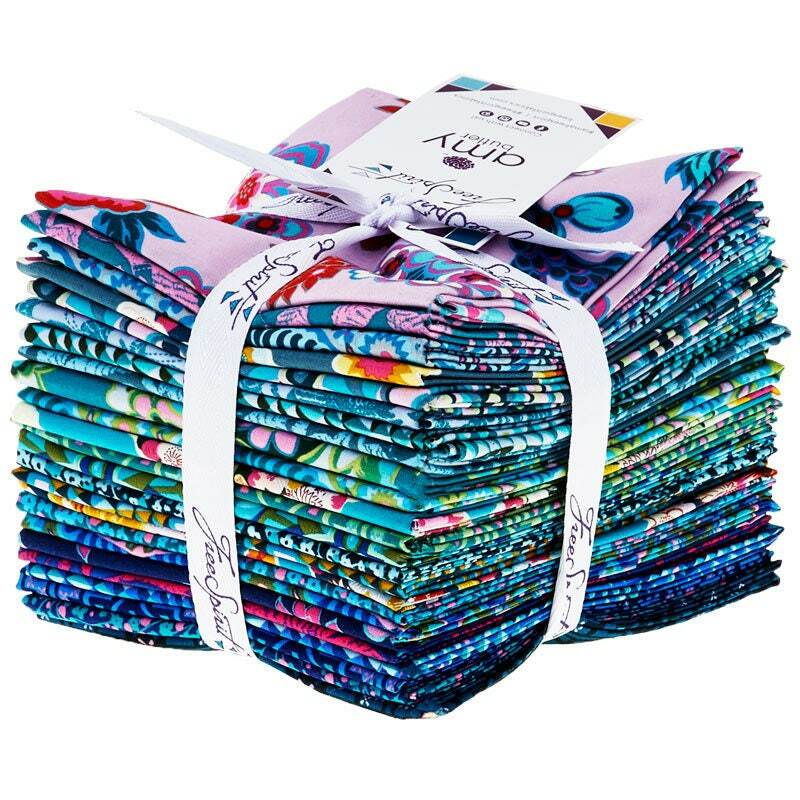 Each Fat Quarter is approximately 18x21 in size.